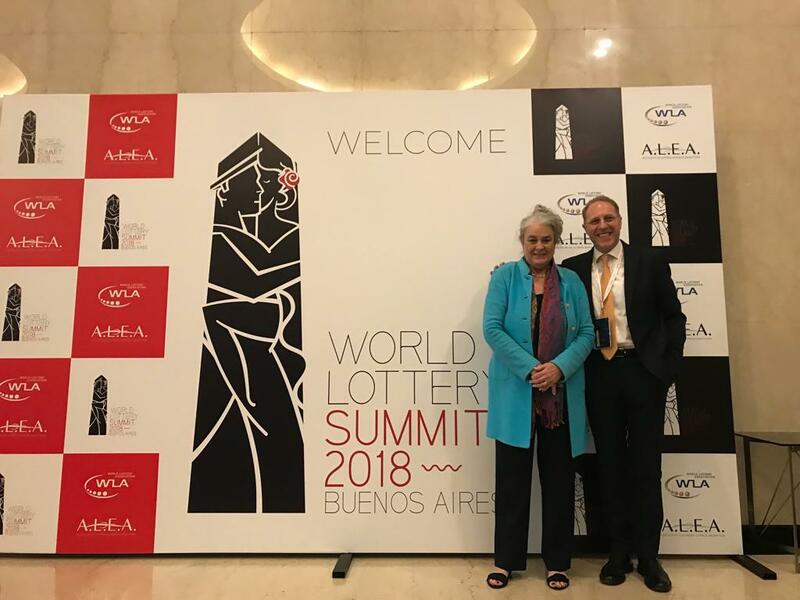 At the 13th General Meeting of the World Lottery Association (WLA), held this past Wednesday November 21 in Buenos Aires, Argentina, Rebecca Paul Hargrove, President and CEO of the Tennessee Education Lottery Corporation, was unanimously elected President of the WLA. She succeeds outgoing WLA President Jean-Luc Moner-Banet, Director General of Switzerland’s Société de la Loterie de la Suisse Romande. GLMS President, Ludovico Calvi, had the chance to meet with Rebecca in Buenos Aires following her election and wished her on behalf of GLMS lots of success and satisfaction in her new role.